June is national Adopt-A-Cat month! Cat adoption is very important during the summer. Spring is “kitten season,” which means your local shelter now has plenty of cute, adoptable kittens in addition to those laid-back adult cats they already had. 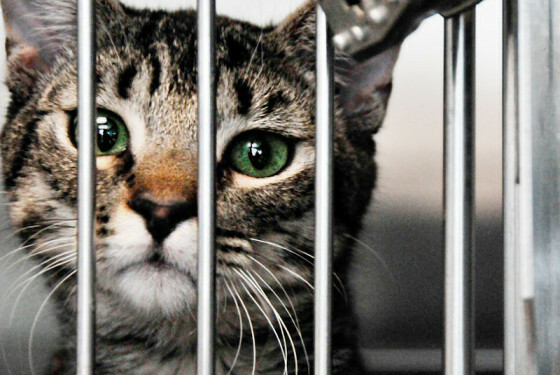 If the kittens or cats aren’t adopted, your local shelter can get overcrowded. Be prepared for a long-term commitment. Cats can live up to 20 years if they are well cared for. Make sure you are prepared for the responsibilities of pet ownership. Are you willing to change your cat’s litter box for the next 20 years? Can you afford to buy monthly food and occasional grooming for your cat, as well as toys and scratching posts? Are you willing to do what it takes to keep your cat healthy with vaccinations and vet bills? Make sure you’re getting the right cat for you. Each cat has its own specific personality, but in general, cats are known for being low-energy in their adult years. Try to find a cat whose personality meshes with yours. If you want a playmate, get a cat with a lot of energy. If you’re more interested in a cuddly friend, maybe look for a cat who likes people and is laid-back. Prep your home for your new feline friend. Obviously, you will want to train your new cat, but be prepared for your cat to train you too. After your cat gets comfortable in your home, you will quickly learn that you can no longer leave food out on your counters. Also secure loose electrical cords so that your cat or kitten can’t chew on them. In preparation for your cat, you also should schedule an appointment with a local veterinarian for a few days after you bring your cat home. Socialize your cat, but make sure they feel safe. This is very important to your relationship with your cat. Be sure to spend enough quality time with them so you can bond, but also give them enough exposure to your regular guests and other pets. Go slow, because it may take a while for your cat to get comfortable in its new environment. Too much change too quickly will make your cat feel unsafe, which can bring out their mean, defensive side. Two cats are healthier and happier than one! Consider taking home two cats instead of one. Cats are social animals and need mental and physical stimulation. If you spend most of your day at work or away from home, it can be unhealthy for one cat to be alone for that long. If you adopt two cats, they can provide exercise and play for each other, and make better, happier pets in the long run.